John Stanton - Principal - Stanton Architects, Inc.
John Stanton’s years of combined background in Architecture and Construction have molded the philosophical requirements of his firm, Stanton Architects, Inc. His main objectives are to provide detailed attention to create successful designs that are truly special for his clients. Planning ideas are carefully reviewed based on the client’s criteria, environment, and budget. Plans are then created to accommodate the client’s needs in a timely manner, efficiently and effectively imparting the integrity of his design. 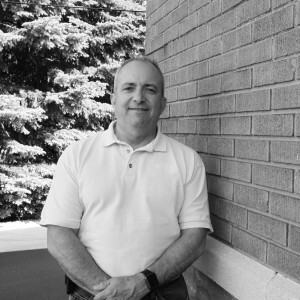 Prior to forming Stanton Architects, Inc., John has had a pivotal role in several major firms. As Construction Manager for Rite-Way Construction Company, he managed and led the construction trades on major housing communities within the Chicagoland area, enhancing and streamlining bidding negotiation, contracting, and project completion. John served as Building Designer at Gerding, Richards & Schonbachler, implementing his design and construction experiences for government housing projects. He has worked with several city (Glenview, Lansing, Gurnee) and State (Illinois) Government on Planned Residential Development, including Independent Living Housing and US Naval Base Housing in the Great Lakes Area. At Johnston Associates, John served many years handling clients, building and zoning officials, and contractors through expediting high-end residential projects. As Manager and Director of Design, John led design and production personnel to develop high quality design to explore new direction in the high-end home market in the greater Chicagoland area, Lake Geneva, WI, Muskegon, MI, and Summit Valley, CO.